Discussion in 'Guitars in General' started by Killed_by_Death, Apr 26, 2016. This thing blows away my Fender Stratocaster. It's light, even though it's got a nice solid bridge block. It sounds pretty great with all 3 pickups on. leonard d rock, Zezozose, Jess 1971 and 14 others like this. Love the flame on the top, and the figuring on the back of the neck! Oh yeah, that's a beauty!! I always thought those pickups looked so cool! Slevin and Killed_by_Death like this. BTW, that's a fine looking guitar. The color, the neck, the etc. The clarity of the pickups is top notch. They sound like ringing bells in comparison to the Lace Sensors in my Strat. Nice! Love the feel and sound of the MFD's. I have not had a chance to try out the Z-Coils. leonard d rock and e??? like this. And that's with a mazac trem block that weighs (if I remember right) 11 ounces just by itself! That must be some killer lightweight ash under that maple. Congrats! when in fact they're so different. leonard d rock and Killed_by_Death like this. I've been trying to weigh all my guitars & basses this evening, but my scales are wonky, even switched over to KG it's just not accurate enough. The scales say they all weigh 10 lbs, but what are the odds of that? In KG, everthing comes in at just over 4 kg. I never considered myself a tone chaser, but this guitar nails it. Even though I never knew what I was looking for, LOL. I tried a Comanche a while back that I really liked - looks like you got quite a beauty. Enjoy! And that's with a mazac trem block that weighs (if I remember right) 11 ounces just by itself! If it's more recent it's brass. Are the adjustment wrenches metric or imperial? If metric, it's the newer brass block/saddles. The Z coils are great in that they really make the passive bass control worthwhile since they actually have content in those frequencies, unlike regular legacy pickups. I put a Will Ray Z coil in the bridge of my Comanche and wired it so that the bass control only works on the 4 positions other than bridge alone. I don't see a reason to roll off bass on the bridge, even the hotter Will Ray, but rolling off bass gets a lot of nice tones from the other positions. I also removed the overall .0022uf bleeder, and put a .001uf bleeder that is on when in the bridge alone position only. Really like that wiring much better than stock, but the stock wiring is still useful. HNGD! That is one gorgeous guitar. I've never tried a Comanche through an amp. 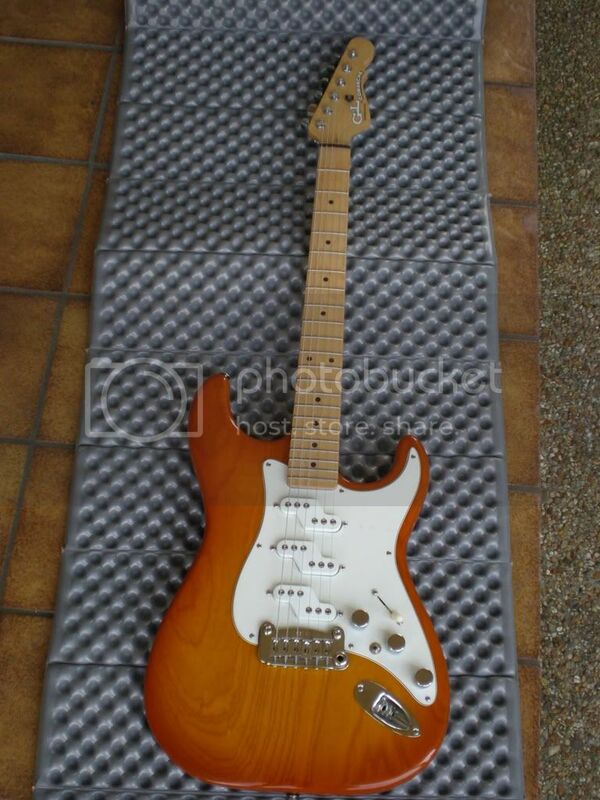 I've tried G&L's that ranged from solid to magical. I suspect I'd fall in love with one if I really tried it, then the wife would be muttering "one in, one out." That's actually the only thing I don't like about it. The knobs ride really high, so you can see the nuts under them, and they've got these gold caps on them. I tried switching them out with the chrome ones from my Strat, but the aft-most pot has a shaft that is smaller than the rest. I don't want to mix & match chrome knobs with straight screwdriver slots with ones that have allen head screws, which is what I would have if I were to put one of the other chrome knobs I have on that one smaller shaft. I suppose I can live with it the way it is, after all I told myself I was going to leave this one stock, since it's a Custom Shop build, complete with the documentation. What's that toggle switch do? 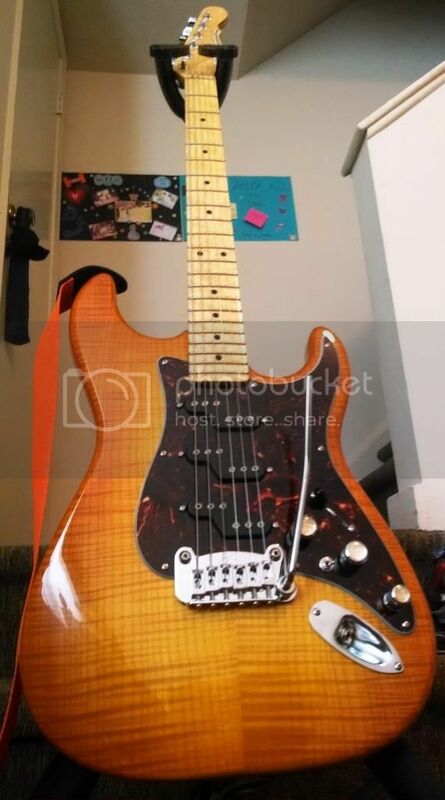 It connects the Bridge & Neck pickup together, so you can either run Bridge + Neck, or all three pickups at once. 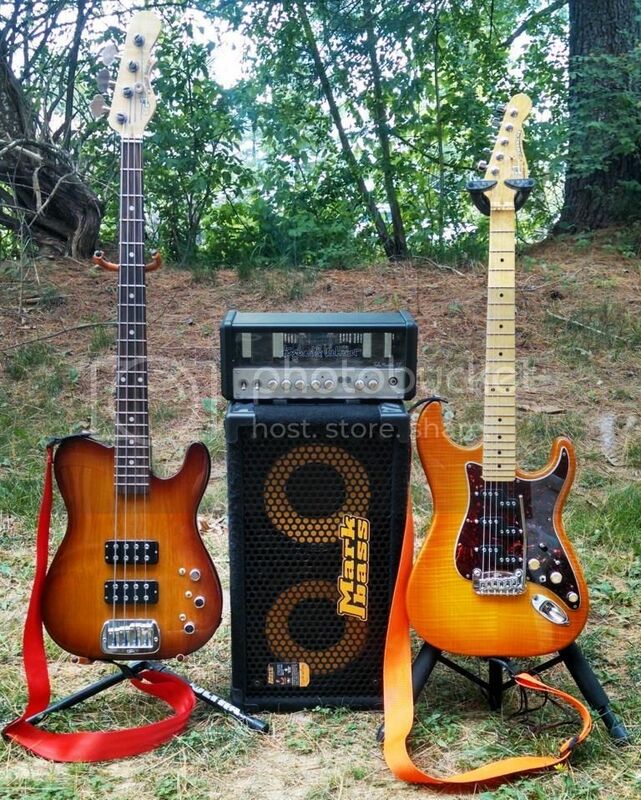 It sounds almost like you're running a chorus pedal with all three pickups engaged. I like it! Played the Z pick ups on the G&L ASAT. They sound great. I lost track that G + L changed block material when they went to the Overseas source bridges. Mine are both pre-change, I think 2003 and 2004 models. I actually replaced the mazac block in one of them with Callaham high end steel and saved a few ounces of weight (both my Comanches are ash, medium weight). Ironically, one of my G + L ASAT Classics has a Taipantone Brass Block in place of the stock Delrin one. And the other has a Taipantone aluminum block. These metals seem to emphasize some frequencies over others where the Delrin doesn't do much of anything. I also didn't know the Will Ray Z-Coil was hotter. Thanks for the tip!